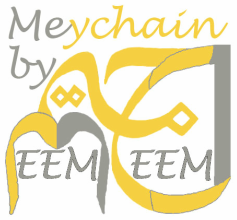 A Meem Jeem Meychain is a personalized name keychain made just for you. Ever gone to a gift shop and seen hundreds of keychains with everyone's name but yours? Here's your chance to get creative keychains with your name in English, Arabic or another language.